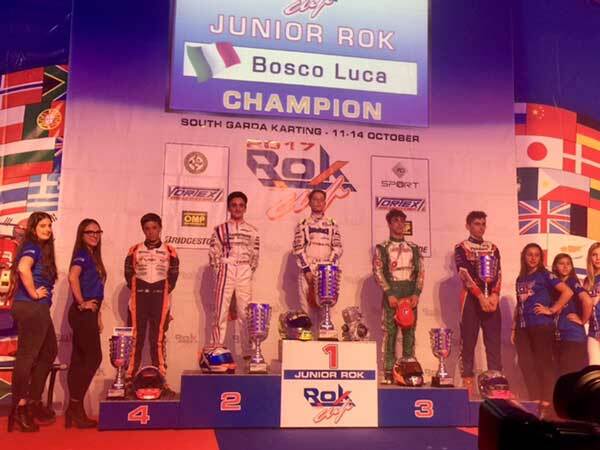 Broc Feeney made it onto the ROK Cup International Final podium in Italy, securing fifth position in the final of Junior ROK at the Lonato circuit, whilst his fellow Australian representatives have made their mark on the international event that drew together over 400 competitors. After finishing heat racing seventh on points, Feeney started from the fourth row. He then set about advancing himself forward. The Gold Coast-based Australian Champion pushed into the top five and was challenging for fourth placing when the 16-lap final came to a close. Victorian James Wharton continued his excellent form with a heat race win on Saturday morning. He would start the final for the youngest competitors at the ROK Cup from 13th position. He then set about charging forward. Wharton got himself to sixth position at the end of the race – just not having the track position to challenge for a top three position. Scott Sorensen started on the front row of the Super ROK final. After a brutal start which dropped him to fourth, the Queenslander boxed on only to be shuffled to 10th. He was battling among a group within the top 10 for much of the 20 lap race. In the end, he crossed the line in 10th position, only to be handed a post-race penalty, which dropped him to 19th. Kyle Henry-Smith, making his debut at the event had done a solid job throughout in the Super ROK category. He started the final in 25th position and started working his way forward. In the end, he made it into the top 20, finishing in 20th position. After yesterday’s disappointment during heat racing, Oscar Targett competed in the Mini ROK Vortex Trophy Race, which was a forerunner to the finals. Starting off the rear of the grid, he was consistently faster than the leaders and pushed his way forward to finish 15th. He passed more karts than any other driver – making up 18 positions throughout the course of the 10 lap race. Cody Maynes-Rutty unfortunately didn’t make the Trophy Race, however impressed everyone with his application to his first European event and walked away with a wealth of experience that he can apply to his racing in the future. 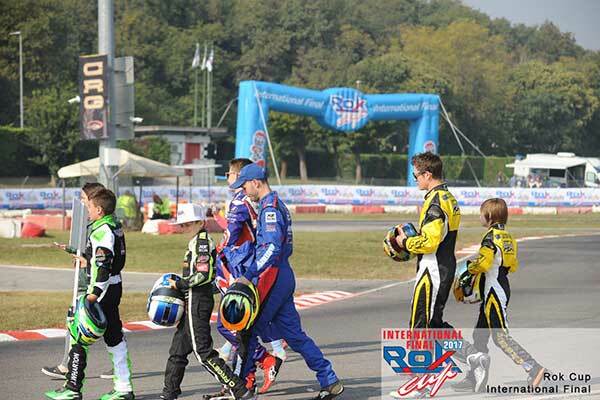 That brings to a close what has been another exciting ROK Cup at Lonato. The Australians put forward their best performance since going to the event. 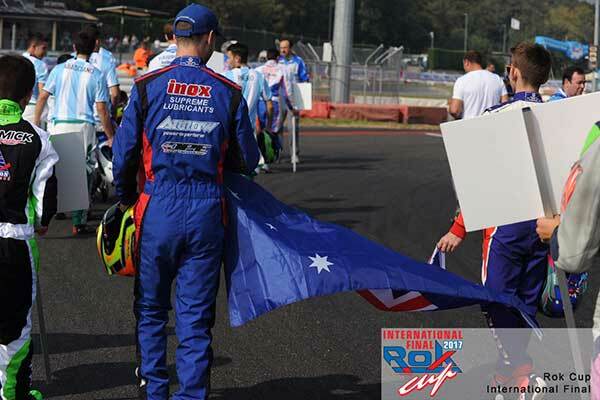 More Australians will have the opportunity to head to the ROK Cup next year through the Vortex Engine powered categories at the Australian Kart Championship, presented by Jayco and Castrol EDGE. 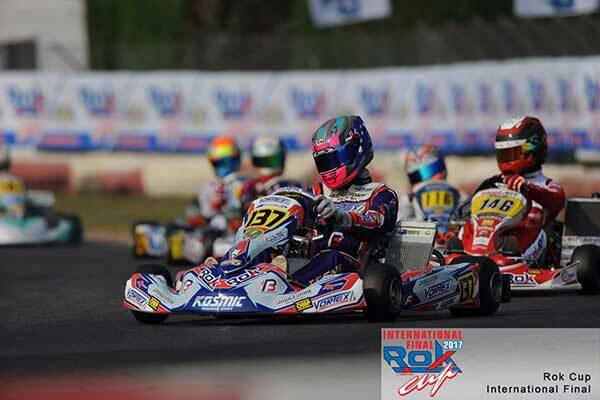 Paul Feeney Group – the Australian importer of Vortex Engines and the ROK products – wishes to thank all competitors for their support in using the product and give themselves the chance to represent their country at major events such as the ROK Cup.